The breakfast, oh the breakfast!! 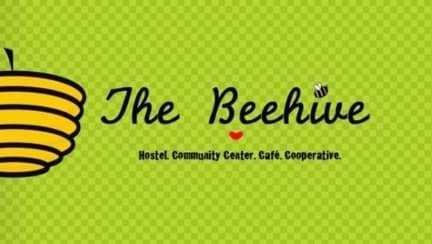 I still dream about the Beehive breakfast every time I get the complimentary white bread & jam combo at other hostels. Lovely hostel. We stayed in the matrimonial room- the key was a bit sticky but otherwise room was lovely and big. Comfy bed, amazing breakfast. We had spanish lessons which were great. Would definitely recommend staying here. Such a nice hostel! Breakfast was incomparable to other hostels, so delicious! It was so nice to wake up and hear (cheap) Spanish classes taking place in every corner and then to go out to one of the many restaurants for lunch. The vibe was very nice with taco night plus many another activities at reasonable prices. Only disadvantage was that the staff mainly consisted of volunteers and we therefore did not interact with the permanent staff since they were very busy. Would definitely come back! Offers what we think is the best breakfast we’ve had in South American hostels. 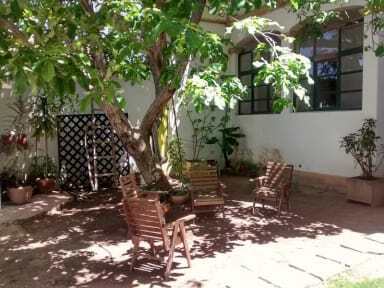 Really good affordable Spanish lessons which can be booked over a long stay. The kitchen was well equipped so ideal for cooking meals if on a budget. The only things that were not great was the beds which were uncomfortable and could probably do with updating, and the laundry service as some of our clothes came back damp and dirtier. Overall a great hostel though. Lovely chilled out hostel. Nice courtyard when the sun is out. French toast for brekki at the weekend was yummy. Good portions!! Lovely hostel to stay at. The breakfast is soo delicious! Lot of people recommended this place to me just because of the breakfast. They have spacious dorms and overall the hostel is very chilled place to stay at. Only thing is that the mattresses on beds could have been better or updated to new ones. Amazing big villa! With other travellers you may share good vibes. Biggest problem is the staff and as they absolutely interested in your money not your well-being. I understand the opening-hours, and rules but they made me wait outside the street at 5.am because my bus arrived so (“luckily” two drank man gave me company, as I always wished for as a solo femal traveller..) so another guest opened the door an I could wait inside the building until check in. Inhuman. Go somewhere you welcomed!